Mahatma Education Society’s Pillai Group of Institutions celebrate Community Service Day in the month of January at Dr. K. M. Vasudevan Pillai Campus, Sector 16, New Panvel. 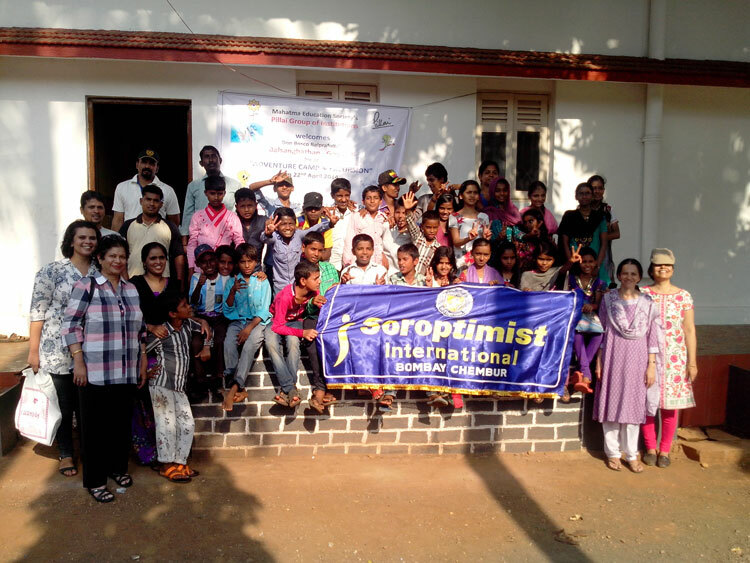 One of the key goals of Mahatma Education Society has been to expand our community service activitites on a massive scale to help us reach out to many underprivileged people in our society and also inculcate a sense of pride among our students and faculty members in serving the less fortunate in society. Mahatma Education Society’s Pillai Group of Institutions conducted its first ever annual talent show titled “UBER RANG” on 1st February, 2012 at Dr. K. M. Vasudevan Pillai Campus, Panvel. Uber Rang is an inter MES Institution competition which encourages students to nurture their talents by providing an excellent platform to them and, unlike any other talent show, it also gifts students with the pure joy of fundraising. The funds raised through Uber Rang are used to promote the activities associated with Community Service Day. The talent show was the brainchild of the Deputy CEO of Mahatma Education Society, Mr. Franav Pillai, who felt that it is important to motivate students to get involved in community service and at the same time give them a forum to showcase their talent. 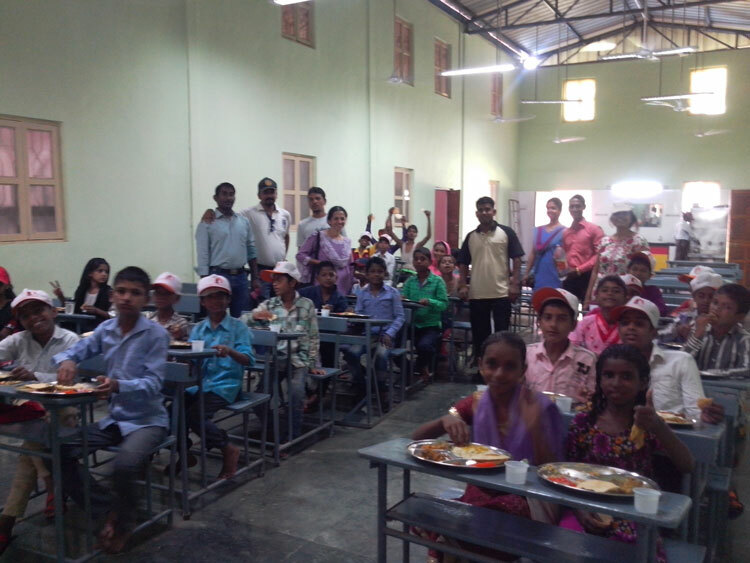 Euridite Education Mission (EEM) is a registered NGO established by Mahatma Education Society (MES). Conceived in the early 1980s, it was actually set up a decade later and registered on 28th March, 1995 under the Society’s Registration Act 1860 and the Bombay Public Trust’s Act 1950. Our prime focus is to reach out to the underprivileged and marginalised section of society, especially unemployed youth and women and help uplift the economic status of the poor. 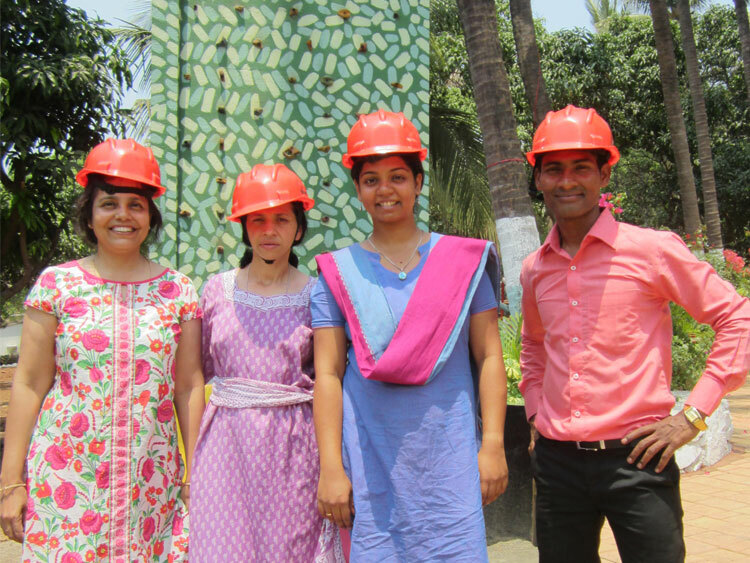 Mahatma Education Society’s Pillai Institute of Management Studies and Research, Navi Mumbai each year hosts management students pursuing the Trans-Global Executive MBA Program (T-GEMBA) from Saint Mary’s School of Economics and Business Administration, California, USA. 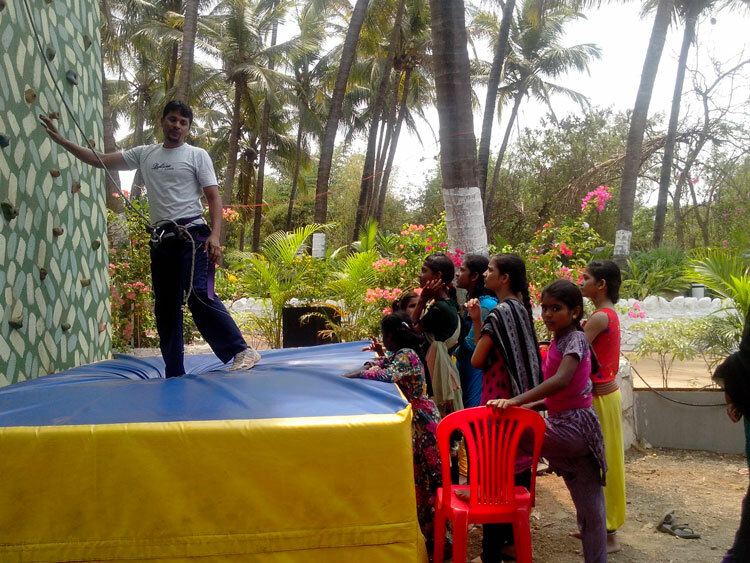 Mahatma Education Society’s Pillai Group of Institutions conducted an Adventure Camp and Excursion at Franav Farms on 22nd April, 2014 for the underprivileged and poor children from the slums of Govandi. 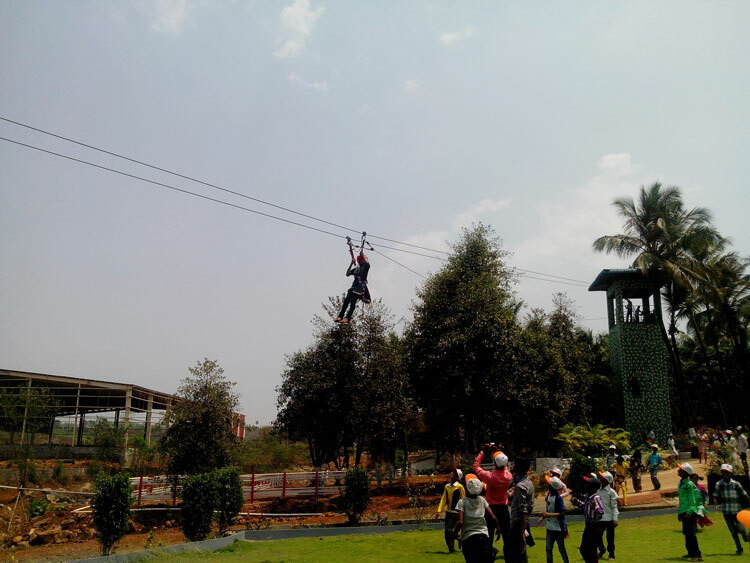 This activity was co-ordinated with Don Bosco Balprafulta’s Balsanghathan (Govandi). 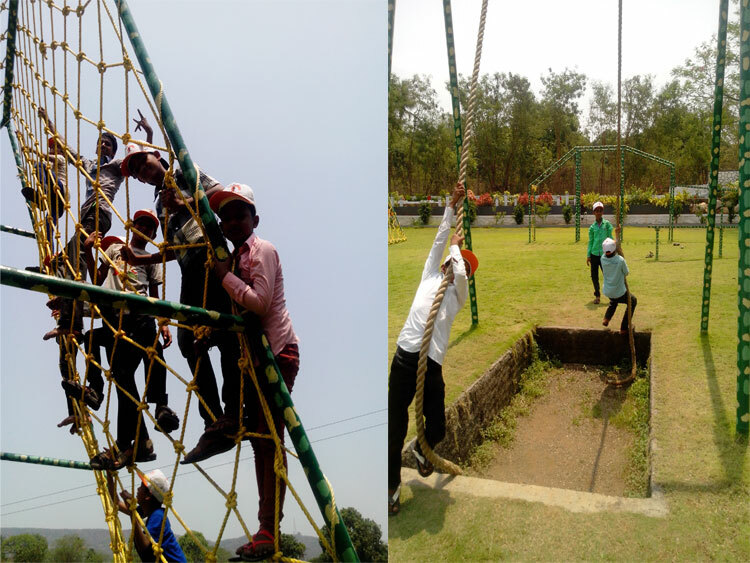 These children were treated to a day of fun and adventure as they participated in the various activities of rock climbing, ropeway, monkey bars etc. They were also provided with transportation to and from the venue and were treated to sumptuous food and snacks. The children enjoyed the day and it was a very fulfilling and satisfying to see their happy faces as they were bid goodbye. This activity was conducted by Celina Joy, Yvette Lee, Sports Director Mr. Padmakshan and his team.